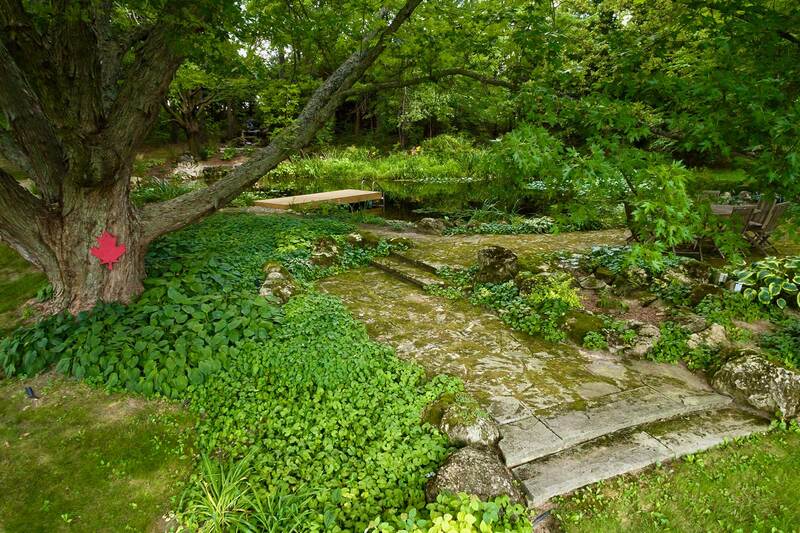 Cut into the side of Hockley Valley lies this beautiful and secluded landscape. Having recently purchased the property, our clients were excited to begin the process of creating their very own retreat. With the property serving as a weekend home, low maintenance was high on the list of our client’s do’s. Wanting an area to swim in, a discussion regarding a pool or pond began. 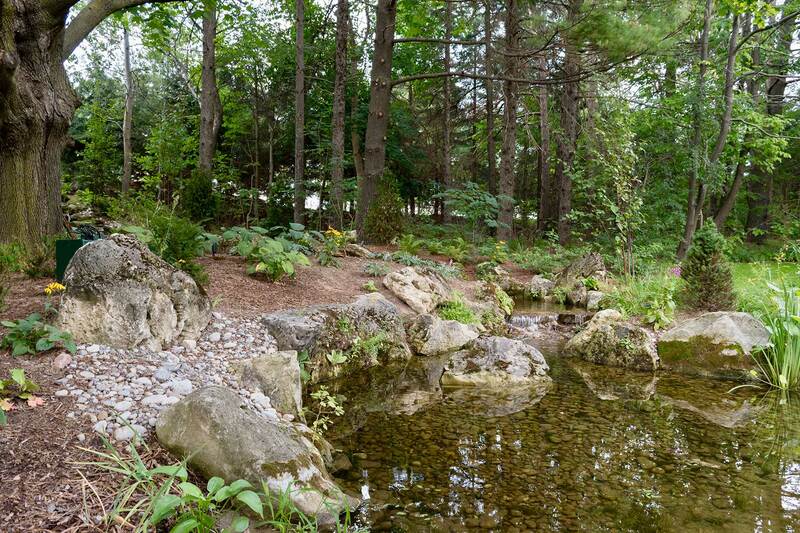 After explaining the principles of nature and how a natural swimming pond incorporates these principles to provide a lower maintenance environment than a pool, our client’s decided a pond was their ideal option. 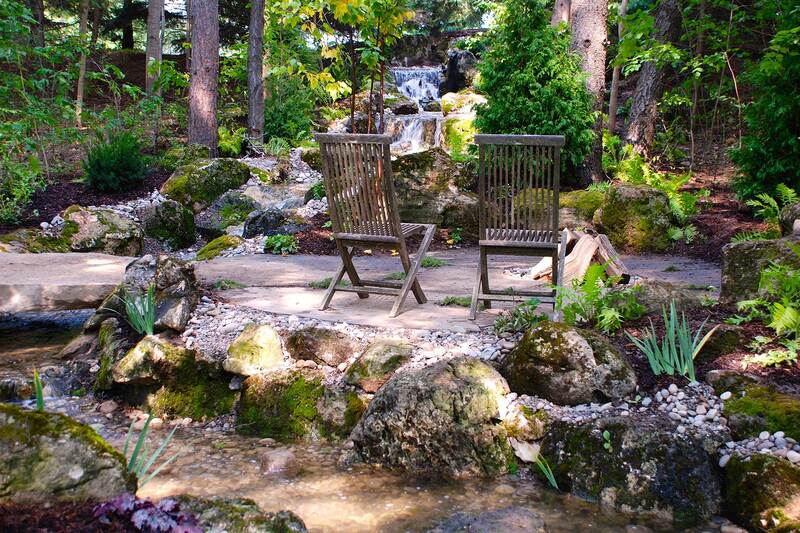 A stream and fire pit would also be added to the property’s design, completing the client’s swimming oasis. 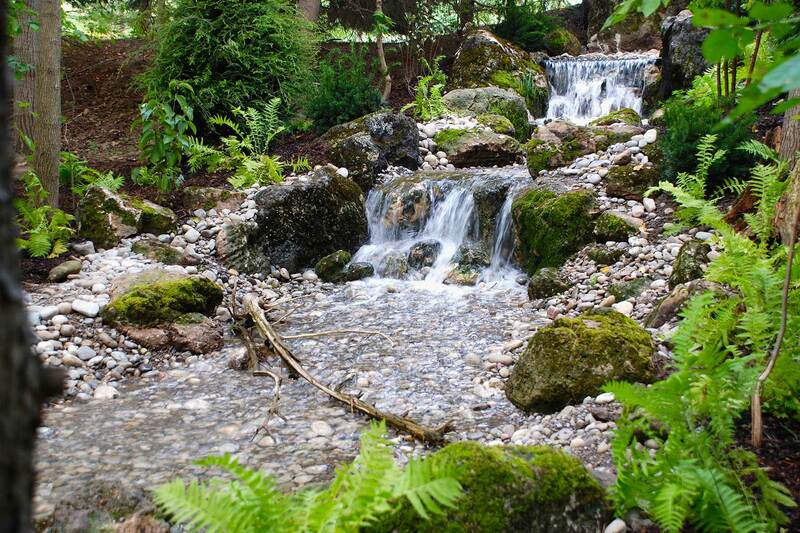 To experience the sights and sounds of this serene landscape, make sure to watch the project’s video! 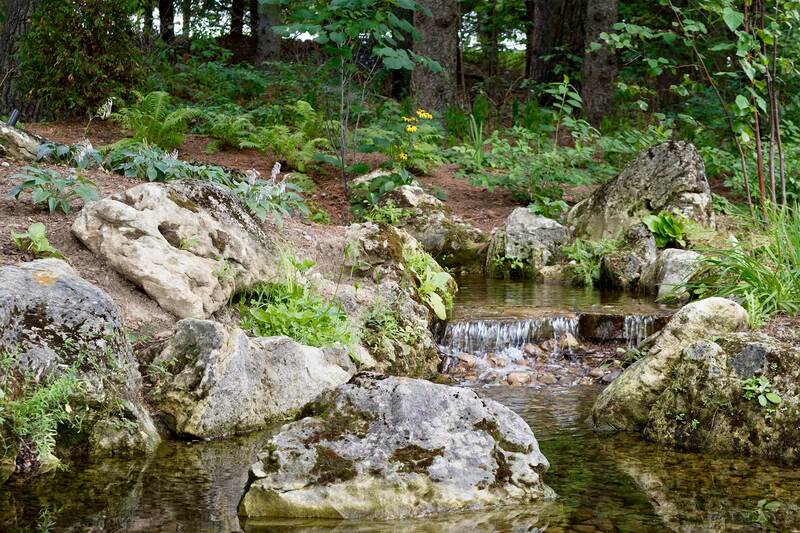 Natural swimming pond designed with natural stone features, aquatic plant material and native fish species to aid in its natural biological filtration. 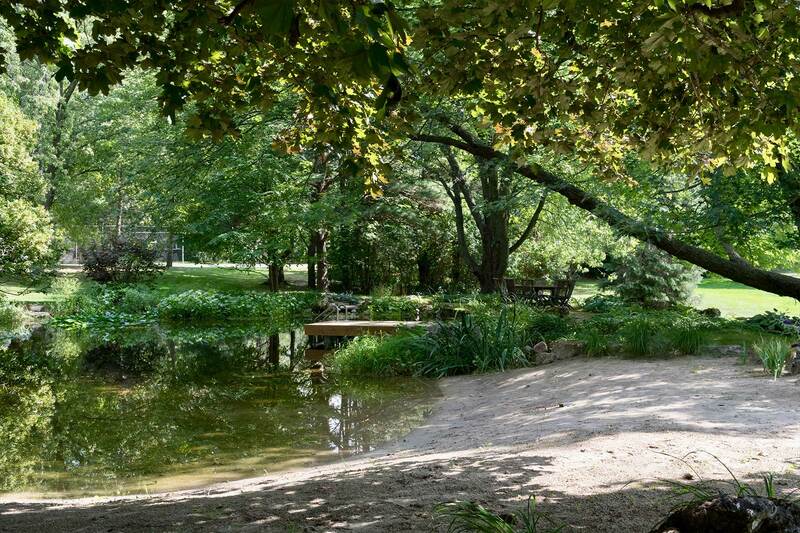 Sand beach to allow for a lounging area around the pond as well as a shallow wading area within the pond. 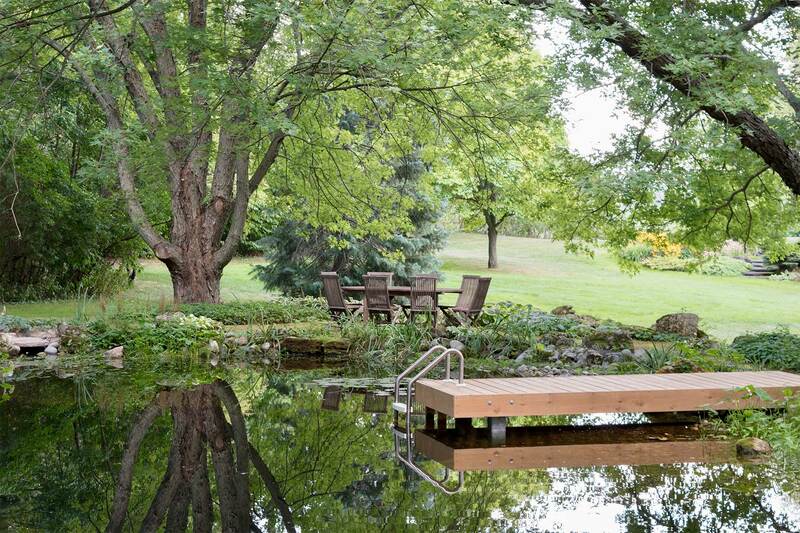 Custom built dock to allow for easy access to the deep end of the pond. 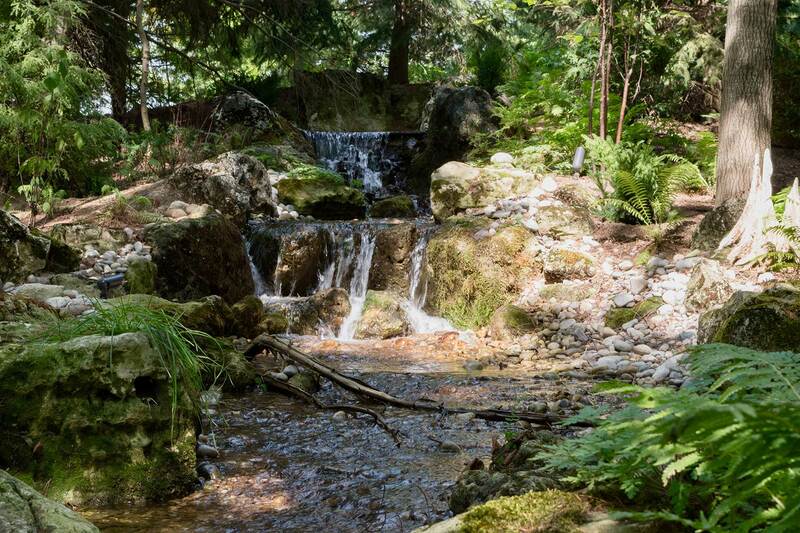 Cascading river surrounded by native plant material to seamlessly blend the artificial stream into the existing forest surrounding it. 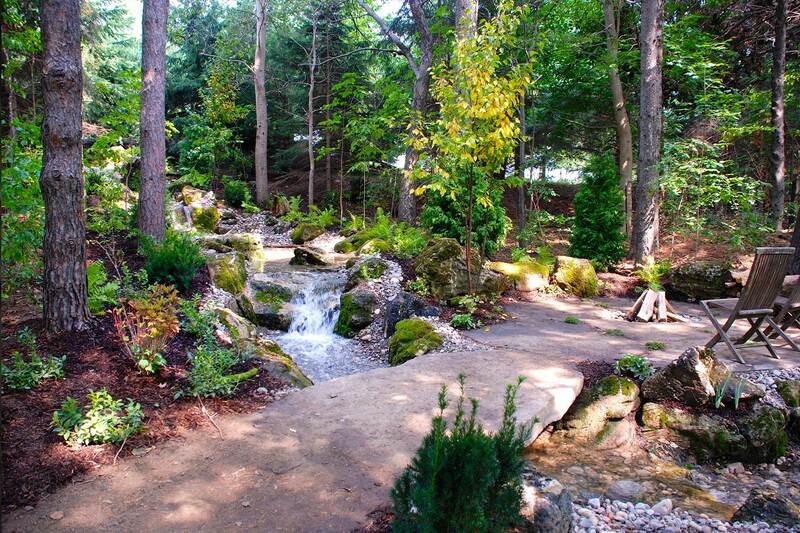 Natural stone bridge crossing the river to provide access from the lawn area to the fire pit. Rustic fire pit area surrounded by the cascading river and natural swimming pond. 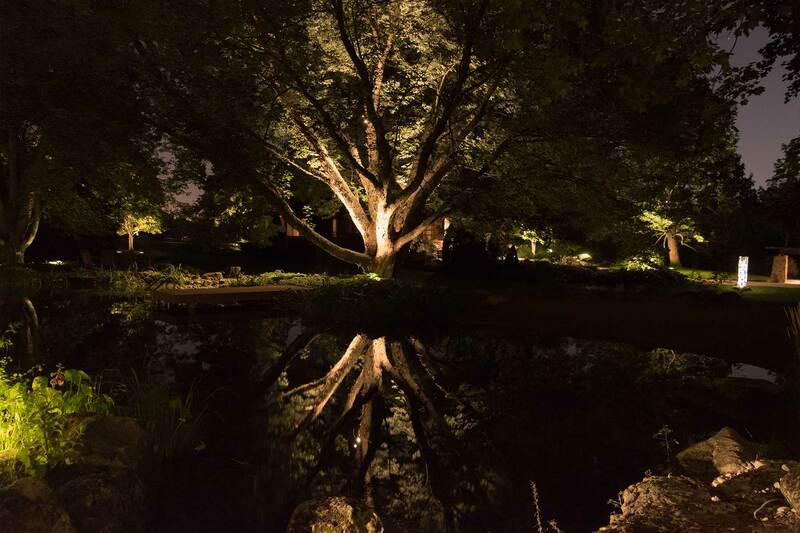 Landscape lighting to enhance the effects of the flowing water and to provide a unique evening experience. 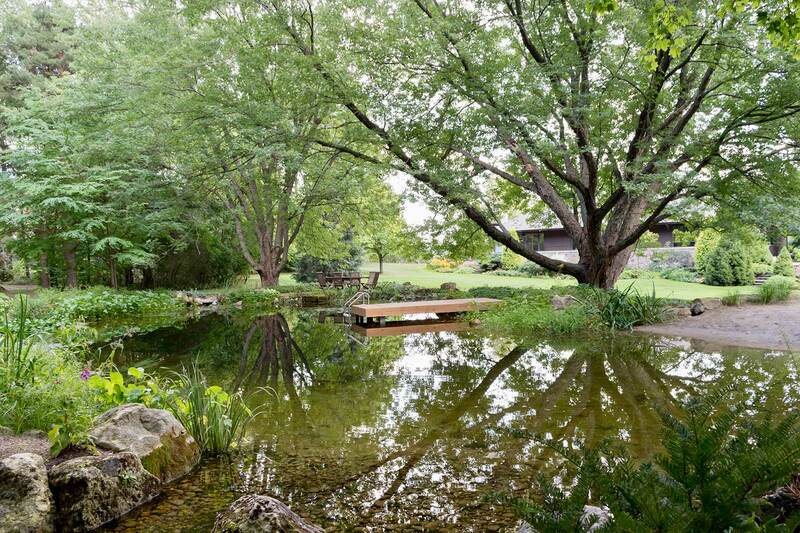 Embracing the tranquility of nature, this natural swim pond provides a serene and peaceful escape.